JG Monster Mile is a tradition with the Newport Beach Junior Lifeguards program. Jillian Schlom took off and won her age group by a full two minutes. Her swimming prowess is in her DNA as her father Steve Schlom is a veteran pool and ocean swimmer. 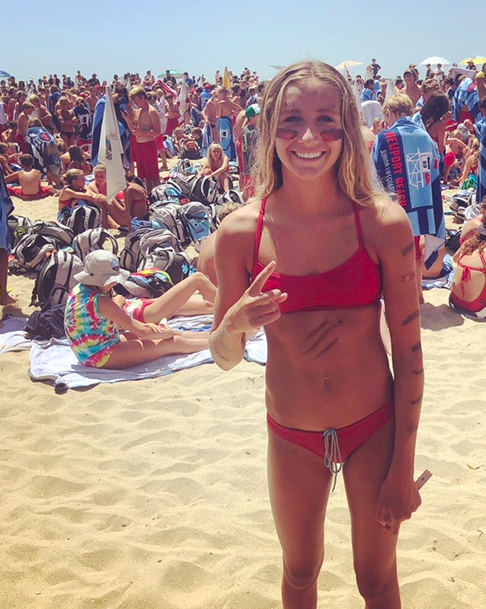 "The Newport JG Monster Mile held in the best conditions: sunshine, crystal clear water and small surf," observed coach Lexie Kelly. "The event is so cool with so many kids like Sofia Del Villar who finished second overall in the C group." 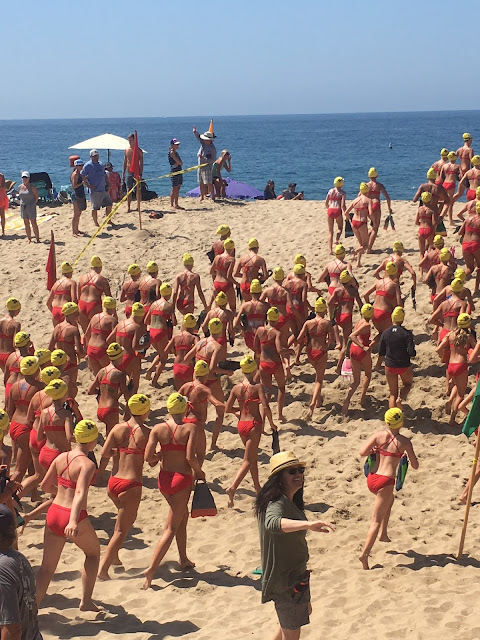 The program runs from June 26th to August 9th when the kids from the ages of 9 to 15 train on the beach from 9 am - 12 pm and from 1 pm - 4 pm Mondays through Fridays. 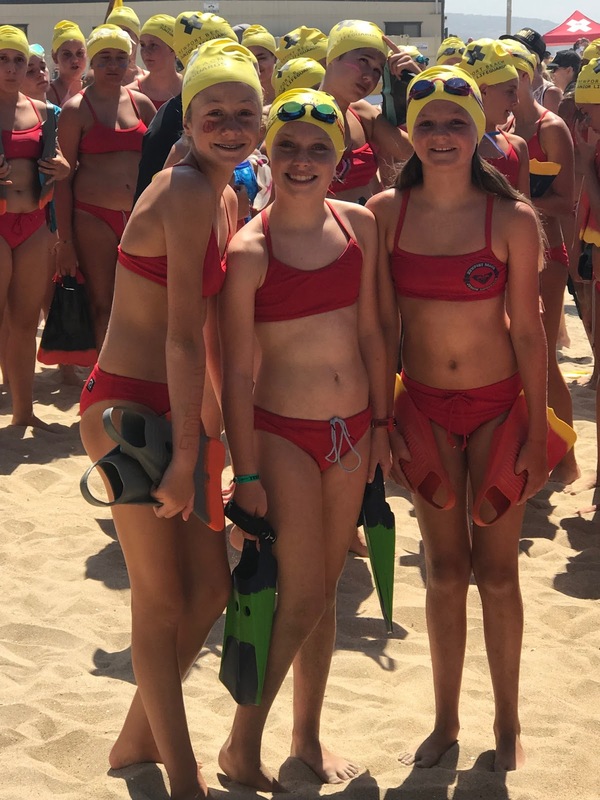 The Newport Beach Junior Lifeguard program was established in 1984. The first year started with 2 instructors and 50 Junior Lifeguards. Since those humble beginnings, the program gradually expanded over the decades and has become one of the City of Newport Beach’s most popular youth education programs. The program now utilizes 60 instructors and support staff and averages over 1,350 program participants per summer session. Several current city lifeguards and permanent staff members started their lifeguarding experience as Junior Lifeguards.